Dysport, like Botox, helps improve the appearance of moderate to severe lines and wrinkles on the face that appear over time. It is an injectable neurotoxin that contains small amounts of the active ingredient botulinum toxin type A, which temporarily suspends communication between muscles and nerves in the areas treated. For years, patients have found success in reducing the appearance of common concerns, including crow’s feet and frown lines. 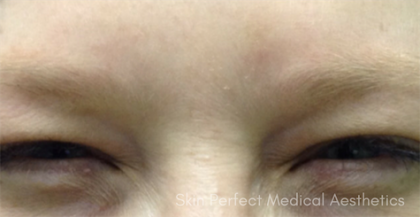 Contact Skin Perfect Medical to request a consultation with one of our trained and experienced expert injectors. We look forward to helping patients actualize their aesthetic dreams! 9.1 How long has Dysport been used? 9.2 What about side effects of Dysport? 9.3 How often can I get injections of Dysport? Prescription Dysport is an injection used to temporarily improve the look of moderate to severe crow’s feet and forehead and frown lines, without changing the look of the whole face. The untreated facial muscles still work normally, allowing Dysport patients to freely show facial expressions, such as smiling, in untreated areas. 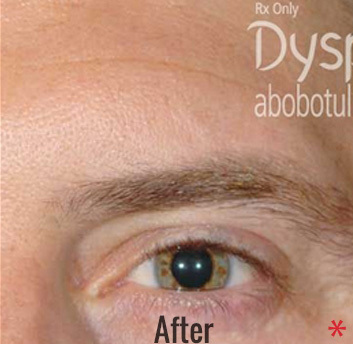 Dysport is very similar to Botox, but has smaller molecules so the unit count is different. 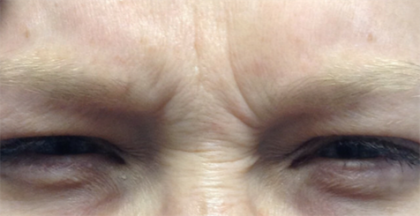 Dysport has been shown to deliver great improvement of moderate to severe frown lines with repeat treatments. So, the effect of repeat treatments with Dysport may be comparable to the first use. With just one injection into five specific points between and over the eyebrows, Dysport blocks the signal from the nerve to the muscles, ultimately resulting in a reduction of muscle activity and temporarily preventing contraction of the muscles that cause frown lines. 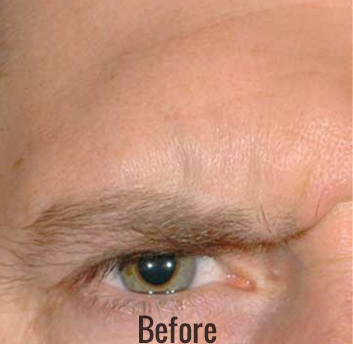 Treatment with prescription Dysport can temporarily improve the look of moderate to severe frown lines, crow’s feet, and horizontal forehead lines. Treatment generally takes just 10 to 20 minutes in office and patients are free to return to their normal routines following treatment. Patients interested in lasting results should come in for routine treatments, but should not be treated with Dysport more frequently than every 90 days. Men and women who are concerned about the appearance of lines and wrinkles on their face may be good candidates for Dysport. Dysport is most effective at treating dynamic lines and wrinkles that occur around the forehead and eyes, including horizontal forehead lines, glabellar lines, and crow’s feet. Patients must have realistic expectations for the outcome of the Dysport treatment. They should fully understand that Dysport is not a permanent correction for the appearance of lines and wrinkles. It typically lasts 3 to 6 months before patients will require re-injection to maintain their results. Patients should be aware that Dysport is not for the correction of all lines and wrinkles. Other signs of aging, including nasolabial folds and marionette lines, may be better treated with an injectables dermal filler, such as Juvederm or Restylane, which we offer. Dermal fillers and Dysport are often performed together. The only way to determine whether or not someone is a good candidate for Dysport is by coming in for a consultation with one of our expert injectors at one of our locations in Southern California. Request a consultation by contacting us today! Dysport is FDA approved for the treatment of glabellar lines, also known as frown lines, which occur between the eyebrows. However, at Skin Perfect Medical, we have also had tremendous success treating other areas commonly treated with botulinum toxin type A, including crow’s feet, and horizontal forehead lines. 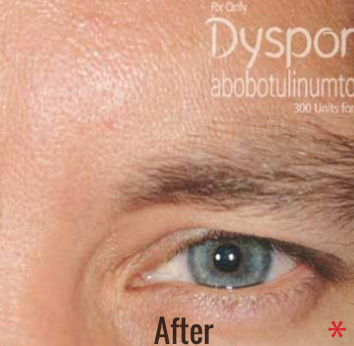 In addition, Dysport can be used to provide the appearance of a temporary brow lift and smooth vertical neck banding. Please feel free to ask about the use of Dysport to treat excessive sweating or a gummy smile. When patients come in for a treatment with Dysport, the expert injector will clean the treatment area and mark on his or her face the injection points. All of our expert injectors are committed to providing patients with comfortable treatments. While the majority of our patients do not require any local anesthetic, it is available if the patient desires. If the patient is interested in anesthetic, then we ask that they inform our team ahead of the appointment. Please note that this will add additional time to the appointment. Once the expert injector has marked the points on the patient’s face, then they will administer the appropriate amount of Dysport into each location. These amounts will be discussed at the time of the consultation, along with the price. Following the treatment, patients will be free to return to their normal routines. Although, they will be advised on avoiding certain activities that could affect their results, including strenuous activity and direct sun exposure for the first 1-2 days following treatment. The side effects of Dysport treatment may include nose and throat irritation, headache, injection site pain or redness, and sinus inflammation. The most common alternative and/or additional treatments include other injectable treatments, such as Botox and dermal fillers. Botox is another botulinum toxin type A based injectable product that treats dynamic wrinkles on the face. For some time in the United States, Botox was the only FDA approved neurotoxin for the treatment of these signs of aging; it was FDA approved for cosmetic use in 2002. Dysport, one of Botox’s main competitors, was FDA approved for cosmetic use in the United States in 2009. Botox and Dysport are comparable and both are safe and effective forms of botulinum toxin type A injections that work to treat dynamic lines and wrinkles on the face. Whether the patient is better suited for Botox or Dysport will depend on a number of factors, including the patient’s unique facial anatomy and aging concerns. In order to determine the best treatment for the patient, the patient should request a personal consultation with one of our expert injectors. Dermal fillers, along with neurotoxins, are the two most common minimally invasive anti-aging injectable treatments. Dermal fillers are the preferred method for treating static lines and wrinkles, as opposed to neurotoxins such as Dysport and Botox, which are preferred by doctors to treat dynamic wrinkles. 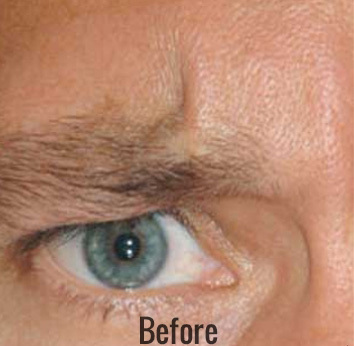 Static wrinkles occur as a result of loss of elasticity and volume in the face. Since dynamic wrinkles occur as a result of repeated muscle contractions, static wrinkles will not be significantly improved by neurotoxins – including Dysport and Botox – which work by inhibiting these muscle contractions. Instead, they are better treated with injectables that add volume to and underneath the skin that soften the appearance of deep lines. At Skin Perfect Medical, we offer a variety of dermal fillers to meet our patient’s needs. These include the most popular dermal fillers on the market, such as Belotero, Juvederm, Radiesse, Restylane, and Sculptra. Each of the aforementioned fillers can help with the appearance of static lines and wrinkles, such as nasolabial folds, marionette lines, and vertical lip lines, to name a few. Some formulas of fillers are specially designed in order to add volume to the lips or cheeks, where volume is commonly lost or lacking. As with Dysport and Botox neurotoxins, the best filler for the patient will be determined by a combination of factors, including facial anatomy and cosmetic goals. Dermal fillers are often combined with neurotoxins in order to achieve the patient’s anti-aging results. There is no harm in combining these injectables and our expert injectors, experts in both neurotoxins and dermal fillers, will be able to help the patient make the appropriate decision for their body and lifestyle. Patients interested in Dysport treatment should begin by requesting a consultation at one of Skin Perfect Medical’s convenient Southern California locations. During the consultation, the patient will meet personally with one of our expert injectors who will be able to help the patient determine the best treatment to help them reach their goals. At the time of the consultation, the expert injector will also be able to give the patient a price quote for the treatment and provide them with extra materials and resources on financing if they would like. Request a consultation in order to get started. Though approved in the United States for aesthetic use in April 2009, Dysport has a history of use in other countries since 1991. Outside the U.S., it was first approved for aesthetic use in 2001. What about side effects of Dysport? The most common side effects are nose and throat irritation, headache, injection site pain, injection site skin reaction, eyelid swelling, sinus inflammation, and nausea. However, under the careful supervision of our expert injectors, patients should only expect to experience mild bruising, inflammation, or itching around the injection sites, which typically disappears in less than 24 hours. Patients should wait at least 90 days between Dysport treatments. The safety of Dysport has been studied in up to 12 repeated treatments. Clinical studies demonstrated continued efficacy with up to four repeated treatments.